Spend a Day in Wake Forest, N.C.
Just a 30-minute drive from downtown Raleigh, N.C., Wake Forest is a quaint, friendly town offering history, delicious food and drink, great local shops and nature. Check out our recommendations on how to spend a day in the town! To kick off your day in Wake Forest, enjoy a handcrafted pour-over coffee paired with a local baked good or breakfast wrap at Back Alley Coffee Roasters. After outgrowing their home roaster in 2015, husband-and-wife team Tracy and Beth McKenzie set up shop in downtown Wake Forest where they now sell whole bean coffee, nitro cold-brew and more. The front of the shop is the perfect spot to relax while the craftsmen of Back Alley Coffee Roasters utilize the production area in the back to research new brewing and roasting methods. After getting a caffeine buzz, take a stroll at E. Carroll Joyner Park. This 117-acre expanse features paved trails, an amphitheater, a pecan grove and old farm buildings. Don&apos;t miss the Walker Garden, which boasts a formally-arranged perennial garden enclosed by a picturesque stone wall. Enjoy some quiet time or read a good book in the garden with beautiful views as your backdrop! 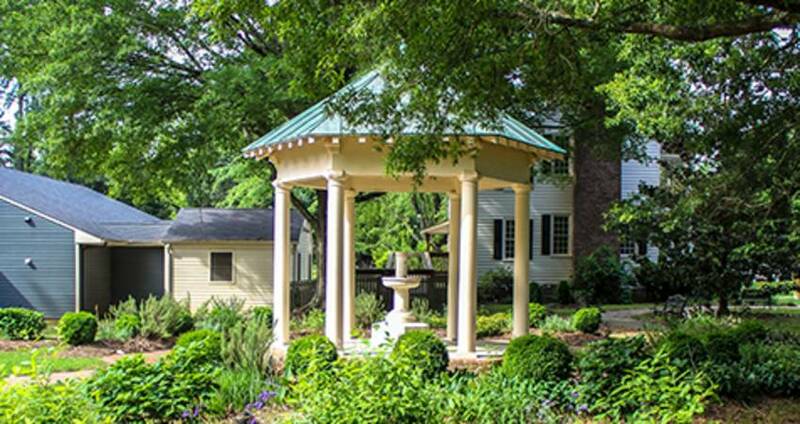 For the history lovers, the Wake Forest Historical Museum (pictured above) is a perfect stop. Learn more about the history of the town of Wake Forest as well as Wake Forest University. Enjoy an impressive collection of photos, books, college publications, furniture, documents, professors&apos; writings and medical, law and sports memorabilia. 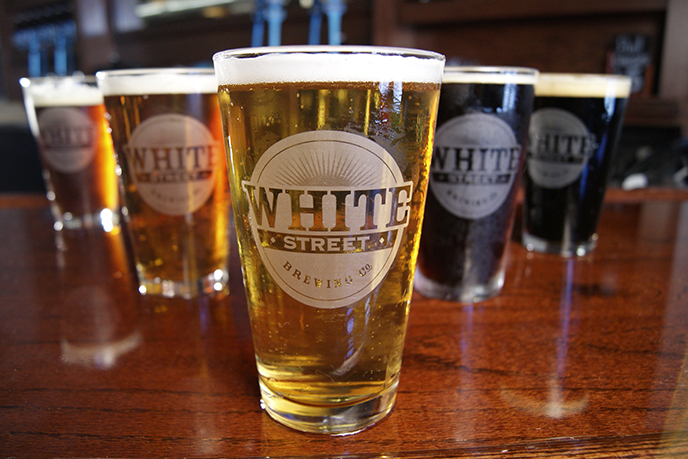 Afternoon beers are a must at White Street Brewing Company. Owner and founder Dino Radosta stripped away the facade of a 1930s Wake Forest car dealership in order to uncover and restore the century-old structure&apos;s original character, resulting in a taproom and brewhouse with exposed brick and beams. Year-round, you can enjoy the Kölsch, a crisp and clean German ale that has nothing to hide, and the Hoptimist IPA, perfectly balanced with a bright tropical aroma, among other selections. After enjoying a pint or two, start up a game of darts or shuffleboard in the taproom. Hungry? Hit a food truck outside of White Street or grab a hot dog from Shorty&apos;s Famous Hot Dogs next door, a family-owned business since 1916. Or head across the street to Sugar Magnolia Cafe for a fresh, tossed salad or a delicious fresh chicken salad or hand-cut roasted turkey sandwich. While you&apos;re there, shop The Emporium with two floors of art and gifts from more than 35 artists and artisans. Just doors down from Sugar Magnolia, For Old Times Sake Antiques is a locally-owned antique shop with nearly 4,000 square feet of inventory. If you love to shop and hunt for some good finds, this store is perfect. Golden-age music plays in the background as you meander through the two floors of rare, authentic antique and vintage merchandise. Look out for antiques, vintage items, furniture, collectibles, home décor and more. End your day in Wake Forest with dinner at neighborhood restaurant, Farm Table. This seasonal restaurant offers an evolving menu that utilizes the freshest ingredients and even has its own herb garden. The oven-roasted beet salad with horseradish goat cheese is a favorite among diners, and you can&apos;t go wrong with the bacon mac &apos;n&apos; cheese.